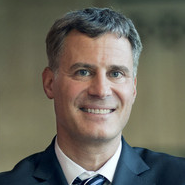 Alan Krueger, long-time Princeton economist and Industrial Relations Section affiliate, passed away on March 16, 2019. Read more about Alan Krueger, long-time Princeton economist and Industrial Relations Section affiliate, passed away on March 16, 2019. Craig Olson, a leading Industrial Relations scholar, passed away on February 18, 2019. Read more about Craig Olson, a leading Industrial Relations scholar, passed away on February 18, 2019. Professor Christopher Neilson - "Profs Tapped To Fix School-Choice Lottery"
Read more about Professor Christopher Neilson - "Profs Tapped To Fix School-Choice Lottery"